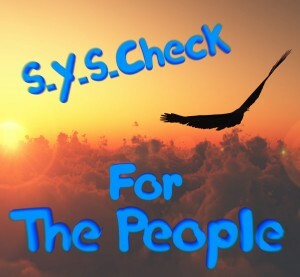 “For The People” started out as a simple idea to introduce youth to the ‘new’ gospelstyles that wouldn’t normally be played or heard in the traditional christian environments. With a basic controlpanel, a free version of the VirtualDJ software I started playing around with some dance, trance, dubstep and house tracks produced by christian DJ’s and producers. 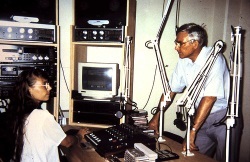 The radioshow, being known for it’s out-of-the-box ideas, variety in music and energetic christian host, delivered a great motivation to keep practising as a DJ. This resulted in several live performances on the radio. The mixsets were uploaded to Mixcloud and were noticed by the radiostation Veluwe FM, where they were played once a month in the year 2014. What are you waiting for? Go check out all the mixsets! 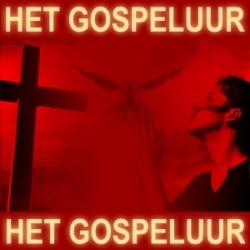 Prior to the “For The People” DJ-mixes, I produced “Het Gospeluur” (The gospel hour). This radioshow was focussed on the clear message of the gospel and it was intended to be a mix of new and old gospelstyles. As it was meant to be for the older generation, I kept it a always recognizable for the audiance. Music was mainly dutch and pretty relaxed and I used todays artists to make sure it didn’t sound to out-of-date. Every show contained a clear theme for that broadcast, there was no doubt about the chosen tracks; they were intented to deliver a flow of vocal stories in music and spoken word, so people would always start thinking about the message being brought. The reflections in the show were mainly from old works/radioshows that were produced in the 90’s during the period when my dad was a missionary on the Netherlands Antilles. They were recorded on old tapes which I digitized specifically for this radioshow. I presented the radioshow “Het Gospeluur” during May 2011 and November 2011 on Radio Sjouk in Veenendaal. The concept was then taken over by another radio DJ and kept being broadcasted on VeluweFM untill the end of 2012. Check out all the broadcasts here. Many of these broadcasts were recorded on tapes and are still being digitized. The quality of the tapes have degraded, but with some filtering the quality is acceptable to listen to. The broadcasts have some sentimental value, but more important: The information, preachings and reflections are still very meaningful for today! They’re the ideal material to listen to when you’re in spiritual need or just to listen to during a long travel or walk. Best of all; they’re all free for download! Go to the Radio Adullam website to find out more.